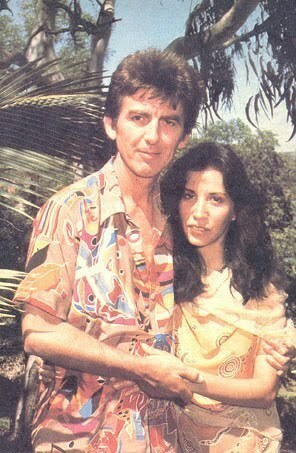 George and Olivia. . Wallpaper and background images in the George Harrison club tagged: george harrison olivia harrison. Awwww such a beautiful picture. From the opinion of this hopeless romantic, nice to see two people who love each other so much were so obviously meant for each other to have found each other. Gives me hope. Sweet.